An event is a massive affair, especially when there are multiple meetings going on. To manage the ongoing event an event manager is recommended to maintain a Sample Event Agenda so that a track can be maintained of what needs to be done where and at what time. 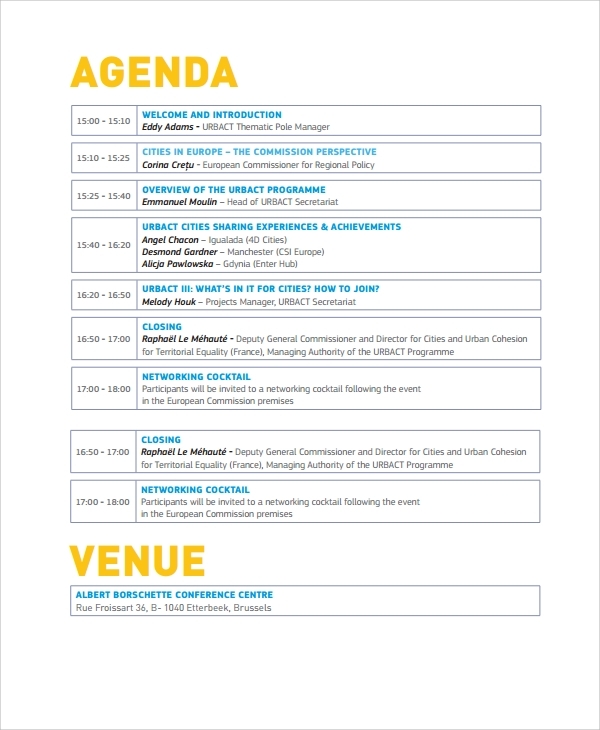 The event agenda evidently state about every action that is planned to be conducted at the event. 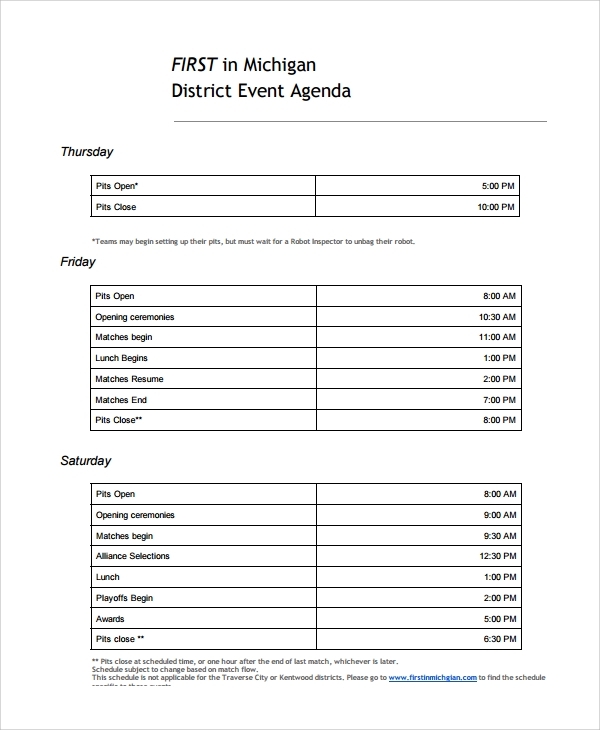 Whether it be marketing events or any other event the event Agenda Templates helps in retaining an event schedule. Maintaining an event agenda prior to every meeting or event will be of great help in handling things and carrying out everything in the specified time. The sample event agenda will consist of all the important details related to the event. 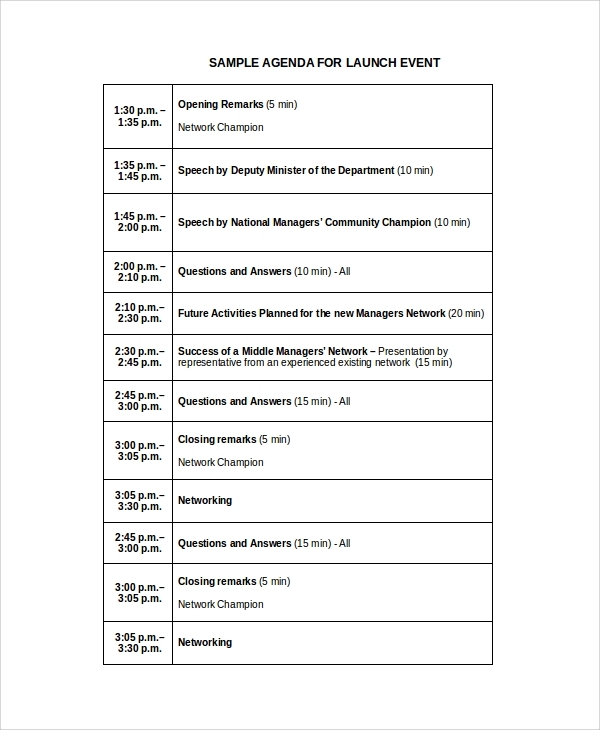 Even the minute change in the schedule will be updated in the event agenda. The details of the speakers and the guest will also be written down. The on-going event with a time slot will be specified for better understanding. All the program that will be conducted during the event will be noted down in the Event program agenda with complete details such as program name, the time slot, details of the speaker and the moderator. Important details related to the event are maintained in the Event meeting agenda. The target, the revenue, the expenses, format of the event, event logistic and assignments are handled with the help of event meeting agenda. 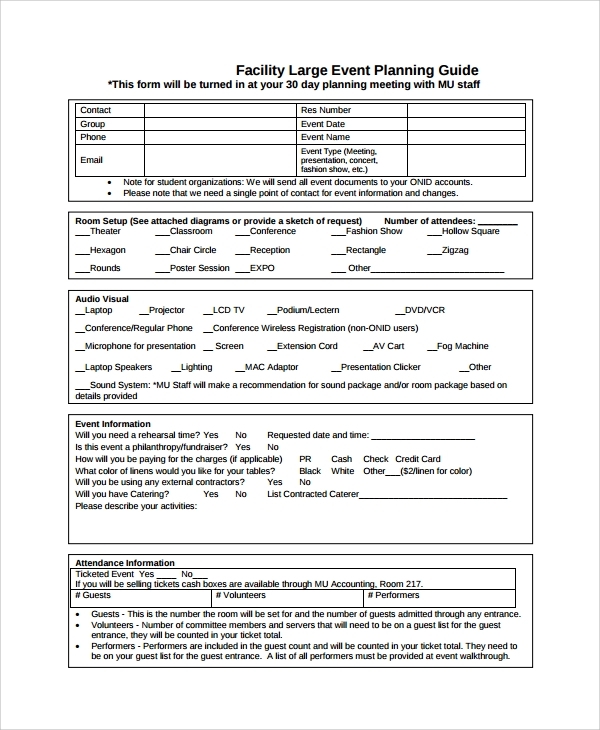 When do I need a Sample Event Agenda? 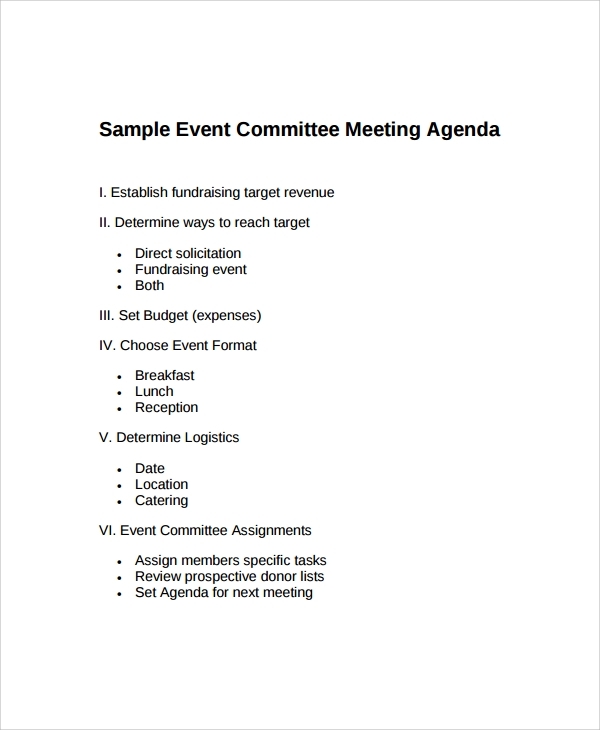 While organizing a meeting or event things could seem very jumbled up or messy. In such case, if you are handling a sample event agenda you can define a meeting clearly or break the time slots appropriately, plan actions for future. You can get the best results from the meeting conducted in such circumstance. 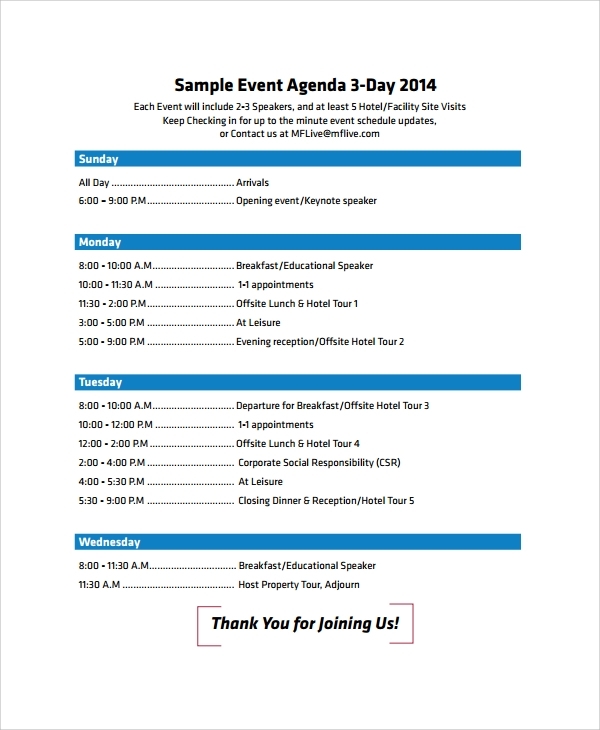 The sample event agenda template will assist you in having an enriched output from the meeting. 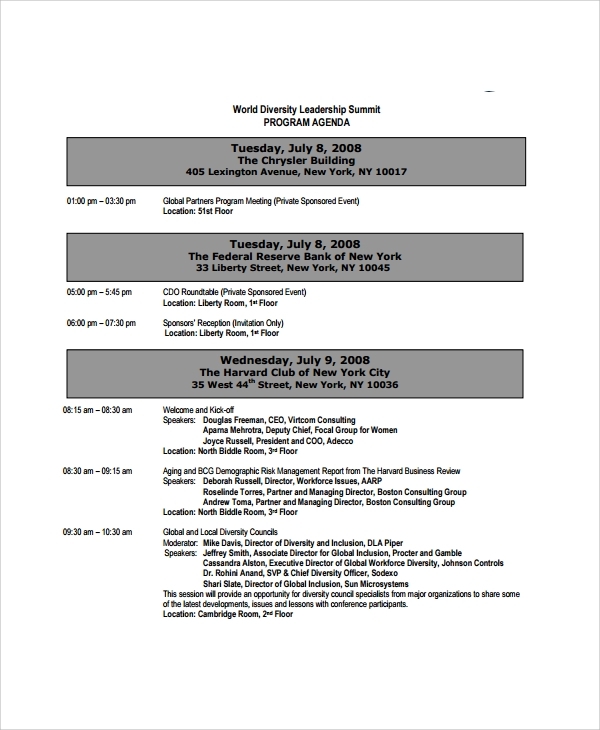 The sample event agenda template is available as word or PDF file. One can customize the templates according to their need. 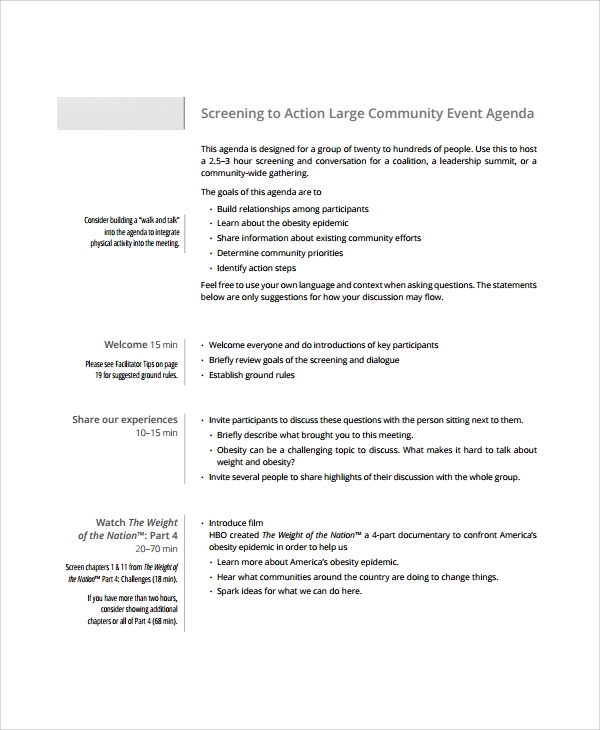 The sample conference agenda template is print ready. Every element of the template can be edited. The documents support great compatibility with higher and lower versions.